Yours Truly KJS has keenly watched and featured Robin Myles and his Explosive Light Orchestra here at elobeatlesforever (elobf) over the last few years as the South Wales based band have developed and grown. It was therefore most pleasing to be in attendance on the night of Saturday 6th May when the band I affectionately call ExpLO made their debut at my regular haunt The Robin 2 in nearby Bilston. 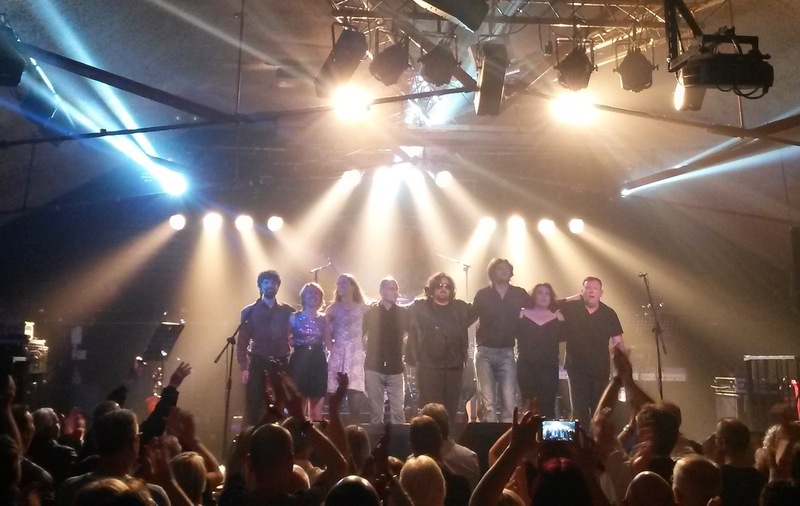 Featuring their full eight member line-up, the Explosive Light Orchestra proceeded to not only own the stage but also take their audience on a light fantastic trip through the ELO/Jeff Lynne songbook with a performance that left many impressed by their Black Country bow and ensured a charged atmosphere throughout. This was my sixth ExpLO gig and most certainly the best as Robin Myles - thankfully well on the road to recovery after a serious illness - belted out the songs of the Electric Light Orchestra with confidence and assurance ably assisted by long time cohort Aidan Thorne on bass, lead guitarist Jason Ball (who gets better every time and loves a banter or three with the crowd), Dave Purkiss (truly a top notch drummer and the loudest basher in Wales), keyboard wizardess Sarah Fowler (with her assured vocal/vocoder contribution duly noted) and virtuoso violinist Xenia Porteous with cello duo Jimmy Ottley and Mel Sadie also vital cogs in the ExpLO machinery. The Explosive Light Orchestra clearly enjoyed each others company on stage and did not take themselves too seriously. They've managed to find a lovely balance combining their note perfect interpretation of works of ELO maestro Jeff Lynne whilst having genuine fun. That mix was infectious and soon had the 500+ crowd singing in unison. 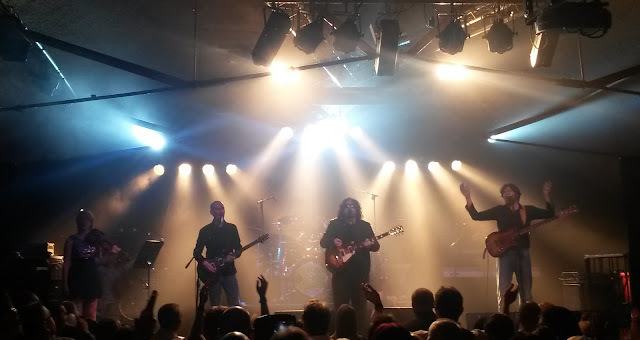 Make no mistake about it, ExpLO are an excellent example as to why tribute bands should be valued, especially when they reproduce ELO classics with such respect. Twenty one songs were played from "10538 Overture" to "Hold On Tight" - a decade of hits from 1971-81 - with some quite exquisite renditions of "Can't Get It Out Of My Head", "Strange Magic", "Telephone Line" and "Steppin' Out" alongside their enjoyable takes on "Showdown", "Turn To Stone", "All Over The World" and "Mr. Blue Sky". ExpLO's two hour set left a memorable afterglow with calls for a prompt return visit ringing in their ears. I've seen a not a few ELO tribute shows down the years and in all honesty, this was one of the best. ExpLO performed: "Evil Woman" ~ "Showdown" ~ "Livin' Thing" ~ "The Diary Of Horace Wimp" ~ "Steppin' Out" ~ "Telephone Line" ~ "Can't Get It Out Of My Head" ~ "10538 Overture" ~ "Hold On Tight" ~ "Last Train To London" ~ "Turn To Stone" ~ "Shine A Little Love" ~ "Wild West Hero" ~ "Xanadu" ~ "Strange Magic" ~ "All Over The World" ~ "Mr. Blue Sky" ~ "Sweet Talkin' Woman" ~ "Rockaria!" ~ "Don't Bring Me Down" ~ "Roll Over Beethoven"
elobeatlesforever (elobf) recommends Explosive Light Orchestra [ExpLO] to those enlightened folks who enjoy the music of ELO, Jeff Lynne, Roy Wood, The Move, The Idle Race, 'Brum Beat', The Beatles and related artistes. Great review Keith of what was a gobsmacking night and very accurate interpretation of ELO'S music by the band. I can only echo your views. 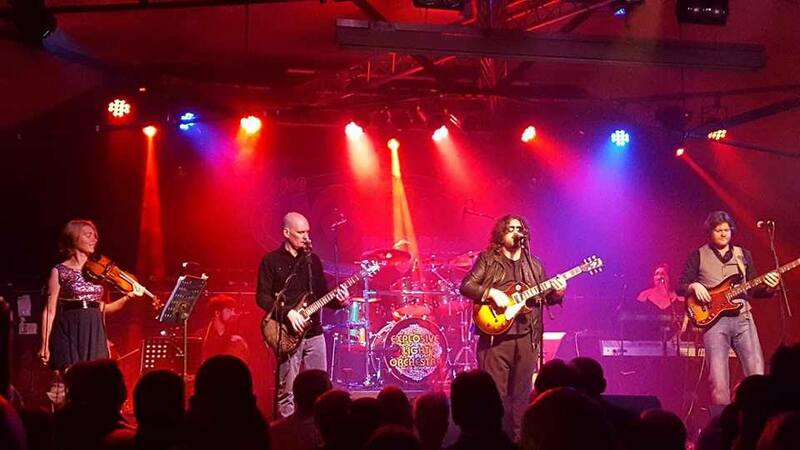 I admit when seeing an ELO tribute band I am always a little sceptical as I want to see the music of ELO being given justice. Well EXPO certainly did that, it was a stunning performance.